Creative typography is just around us if you know where to look and it doesn’t just end with anything digital or computer manipulated. There are also types of typography that need your skillful hands to come up with unique creations. 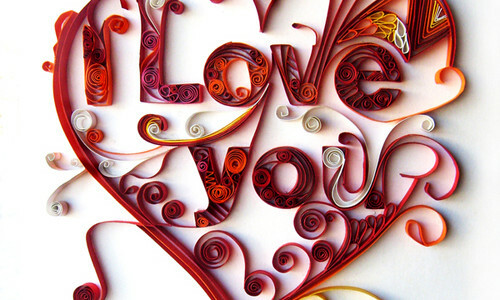 Craft typography, for example, is the art of creating typefaces from craft materials like paper, wire, fabric and clay. When doing craft typography, you’re not just letting your creative juices flow but it also takes patience and hard work to finish one. We’ve gathered 30 beautiful craft typography designs to give you inspiration. Each one has its own unique style and has been created by craftsmen and artists who have been thinking outside the box. Whether you’re a fan of digital typography or traditional art, you’ll find these artworks awesome. Hey, you might even want to try crafting on your own.